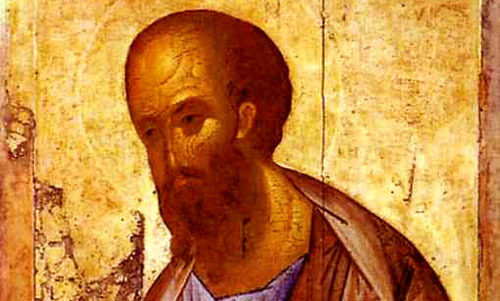 Paul endured many afflictions for the sake of the gospel. “In my flesh,” he says, again affirming (against the Gnostic idea that matter is evil) the physical, this world nature of the gospel. Jesus the Messiah has a body, a physical presence in the world. The Church is that body and Paul is part of the Church, so when he is persecuted, the Church suffer affliction, and when the Church suffers affliction, Jesus suffers affliction in His body. In one of his letters to the believers at Corinth, Paul details some of the persecutions he experienced. This came as no surprise. When Paul (then known as Saul) was converted on the road to Damascus, and was literally blinded by the experience, God spoke to another man, Ananias, to go and lay hands on him to restore his sight. Ananias was reluctant; it was still only very recently that Saul had been persecuting believers. But the Lord Jesus said, “Go, for he is a chosen vessel of Mine to bear My name before Gentiles, kings, and the children of Israel. For I will show him how many things he must suffer for My name’s sake” (Acts 9:15-16). When Paul speaks of “filling up” what was lacking in the “afflictions of Christ,” he is not referring to the passion of the cross and the work of atonement Jesus did for us there — that work was full and complete! Rather, he is talking about being persecuted for the sake of Jesus and the gospel. Paul suffered many afflictions, as did the other apostles, because of the message they preached. In Acts 5, for instance, we read about Peter and the apostles, when they were arrested and put in jail. The authorities were so enraged they wanted to kill them but released them instead, warning them not to preach about Jesus anymore. “So they departed from the presence of the council, rejoicing that they were counted worthy to suffer shame for His name. And daily in the temple, and in every house, they did not cease teaching and preaching Jesus as the Christ” (Acts 5:41-42). Indeed, Jesus promised that this sort of thing would happen. Paul and the other apostles did not just put up with these afflictions — they rejoiced in them! 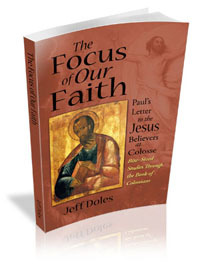 He explains why in his letter to the Jesus believers at Philippi, written from a prison cell (as indeed is this letter to the believers at Colosse). Persecution for the sake of the gospel has persisted throughout the history of the Church. Even today, there are many Christians around the world who are being cruelly treated and martyred for their faith in Jesus (for example, see The Voice of the Martyrs). They are “filling up” the “afflictions of Christ,” and yet, surprisingly — and supernaturally — they rejoice! Jesus is glorified in their physical bodies, whether by life or by death, and they are with Him.